Hawksmoor was delighted to be able to help support the Lions Clubs of Cornwall once again in their efforts to increase awareness of diabetes and the importance of early detection by screening. 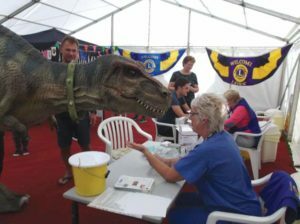 The Lions Clubs of Cornwall were at this year’s Royal Cornwall Show with a stall which was set up to invite visitors to the show to have their blood sugar levels checked by qualified nurses. For more information about the efforts of the Lions at the Royal Cornwall Show, and Hawksmoor’s sponsorship, read the coverage of the event in the local press. For further information about the excellent work the Lions are doing to confront the global epidemic of diabetes, visit the Lions Clubs website.